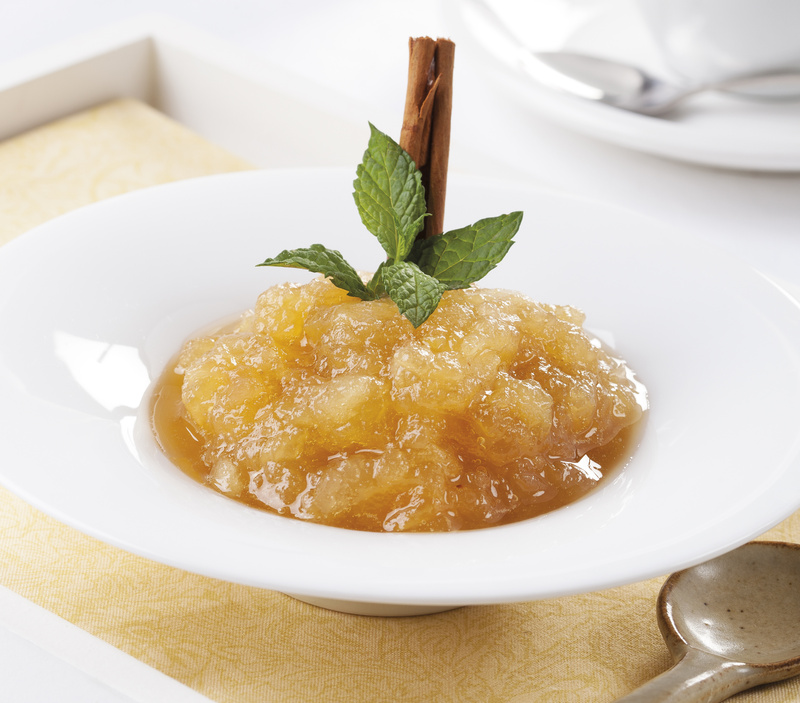 Slow cooked and sugar-free, this is the easiest applesauce ever! Break out your crock pot and let’s get to it! Even if you’ve been making applesauce with white or brown sugar forever, I promise, you absolutely will not miss it in this applesauce. The apples have so much natural sweetness I think sugar would be overkill anyway. I used Galas but don’t see why any variety of apple wouldn’t work just fine here. So, use whatever apples you’ve got on hand and adjust spice amounts to your personal preference. Serve it hot; serve it cold – doesn’t matter. This recipe is super flexible! Bonus: Your entire house will smell amazing! Recipe can be scaled for whatever amount of apples you want to use without changing the cooking time. I went with a small 1 lb. batch and it yielded approximately 1 1/2c. Layer apple slices in the slow cooker. Sprinkle with cinnamon, cloves, and nutmeg. Set temperature to High and leave it alone for about 4 hours, checking progress periodically. Stir everything together and mash to desired consistency. I like a chunkier applesauce so it took just a few times around in the pot with a spoon and our applesauce was ready.